The disparity between the depth of the screen and the depth of the 3D image caused the most problems, researchers found. (Ars Technica) -- Certain kinds of 3D displays cause extra eye fatigue, according to a study published by the Journal of Vision that was funded in part by Samsung's R&D arm. A group of researchers from the University of California-Berkeley found that when test subjects watched 3D displays, they reported more eye strain and fatigue and less vision with changes in depth of the screen and the depth of the 3D image. Researchers also found the relationship between image depth and nearness of the screen also played a role in eye strain. Twenty-four participants in the study were shown 3D video at various viewing distances, and then responded to questionnaires on their eye fatigue, neck and back pain, and vision clarity. In the video clips, the authors were varying the focal point, which is the surface of the screen, and the vergence distance, which is where in the image on which the eyes are fixating. For 2D video, these points are always one and the same, but in 3D video the vergence distance varies, and can be either deeper than the surface of the screen or in front of it. 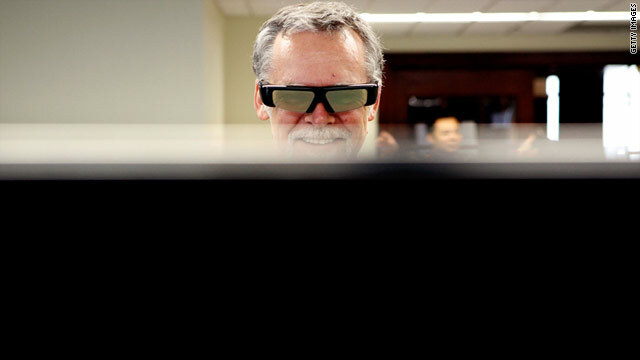 The participants responded that they experienced more eye strain and fatigue from the video with different vergence and focal distances, a feature of 3D that has long been supposed to cause eye strain (particularly when the two distances did not mimic a realistic portrayal of three dimensions). Ars Technica: Windows everywhere, or Windows nowhere? The self-reported differences were not drastic, but they were significant. A second part of the study found that though 3D was fatiguing in general, the participants had more problems with distant displays showing an image with a vergence distance deeper than the screen and with near displays showing images popping out of the screen. This research is highly relevant to 3D content designers, who could determine what to recess or pop out of the screen based on the expected viewer distance. However, the study also means that 3D video that is more comfortably viewed in a movie theater is necessarily more uncomfortable to look at when viewed in a living room.